Optima Dental Care, located in Post Falls, is owned and operated by Dr. Scott Johnson. Our office provides family, cosmetic, and sedation dentistry to Post Falls, Coeur d’Alene, Hayden, and the surrounding communities in a patient-focused manner. Dr. Scott Johnson, cares for each and every patient at each visit. Which means no associates or employee dentists to get in the way of the Dr. and patient relationship. We want to provide you with a dental experience that exceeds your expectations. Dr. Johnson delivers the highest quality of care through proven techniques, materials, and technology. He also takes the time to understand you as a person and a patient in order to better diagnose and treat your exact needs. Optima Dental Care strives to be your partner in your journey towards optimal oral health. Dr. Johnson works with you to make sure you know the exact treatments you are receiving and how they bolster your well-being. He also provides treatment options and material for patient education, making sure you are aware of the best ways to keep your teeth and gums as healthy as possible. Dr. Johnson is a graduate of the top-ranked School of Dentistry at Loma Linda University and the Las Vegas Institute. LVI is a cutting-edge, hands-on dental education curriculum that is a world-famous, expert authority on cosmetic dental procedures. Over the past decade, LVI has emerged as a leader in modern dental education. Cosmetic dentistry is one of the services that many dentists can provide but few have mastered. Each restoration applied to your teeth need to be carefully planned out to accommodate the overall smile’s appearance. A porcelain crown can be made to perfectly reshape the tooth it treats, but that may not necessarily mean it helps the entire smile look and feel its best. Quality dental care is about more than just the services provided; patients need to feel relaxed and to know that Dr. Scott Johnson and his team have their best interest in mind. At Optima Dental Care, how a patient is regarded by our dental team is just as important as the quality of the treatment. Simply put, the team at Optima Dental Care is caring and amazing. Our entire staff goes above and beyond the call of service when addressing questions and concerns our patients have. Our practice treats you like family at every step of your visit, and Dr. Johnson even calls patients after they receive treatment to make sure their recovery is going smoothly. 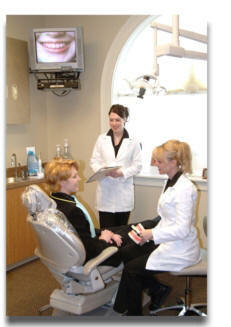 Optima Dental Care offers quality dental care near Post Falls by emphasizing these attributes. We help our patients stay healthy, comfortable, and happy in regards to their smile. For more information or to schedule your next appointment, call our office today!